Students are able to book appointments up until a closing period which is by default set to one day in advance of the appointment. This is the minimum notice you require for booked appointments. From the main navigation bar, click the menu item Configuration and select Scheduler Rules. Enter a numeric value for Booking Restriction. 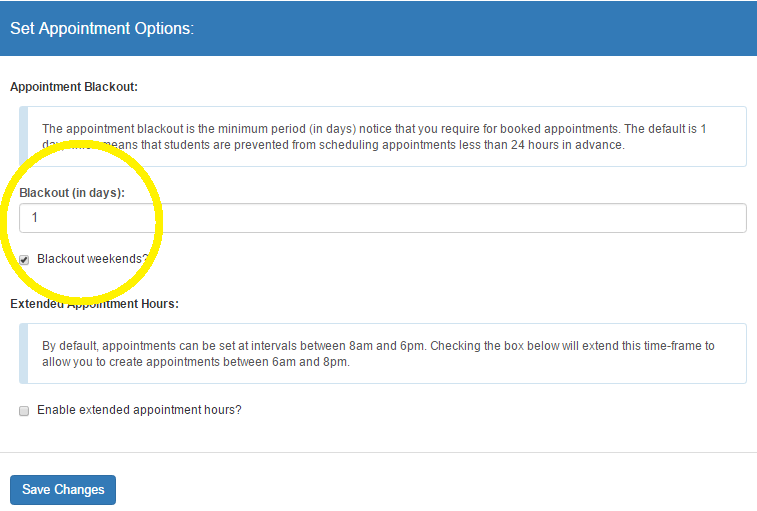 You may also exclude weekends so students cannot book a Monday appointment over the weekend. Make sure to Save Changes when you are finished.